Reem Rachel Abraham is currently working as a Senior Grade Lecturer in Physiology at Melaka Manipal Medical College (Manipal Campus), Karnataka, India. She is interested in implementing innovative teaching, learning, and assessment strategies in Physiology. She is a member of the American Physiological Society (APS). Her honors include a travel grant of $1500 by the APS to attend the 35th Congress of the International Union of Physiological Sciences (IUPS) and Experimental Biology held in San Diego, California, in April 2005; a Research Recognition Award by the American Physiological Society; the T.M.A. Pai Gold Medal for excellence in medical research by Manipal University, India; and first prize for her poster presentation at the International Conference in Medical Education held in Bangalore, India. Dr. Abraham has also published articles in national and international journals. I am an Assistant Professor in the Department of Community Medicine at the PSG Institute of Medical Sciences and Research. My area of research was curriculum development and evaluation. As a trainer of trainers, I have contributed to the capacity building of non-governmental organization (NGO) workers, peer educators, and school teachers in the field of HIV/AIDS. I have facilitated sessions on problem based learning (PBL) and problem solving for better health for medical undergraduates. I have to my credit special training in epidemiology through the WHO Workshop on Basics of Epidemiology; WHO’s Advanced Clinical Epidemiology Course – “Clinical Trials;” WHO’s Advanced Clinical Epidemiology Course – “Case Control Studies” from the Department of Community Health and Development, WHO Collaboration Centre, Christian Medical College, Vellore; and the National Seminar on Epidemiology of Non Communicable Diseases at Madras Diabetic Research Foundation, Chennai, held in collaboration with University of Alabama. I have been equipped with techniques in research methods through the “Joint Indian Council of Medical Research (ICMR) – University of Connecticut – Imperial College Workshop on Research Methodology” and a workshop at PSG Institute of Medical Sciences and Research. I have been initiated into the practice of medical teaching and evaluation through the Medical Teaching-Learning & Evaluation Workshop at PSG Institute of Medical Sciences and Research. I have served as Honorary Advisor in the project on “Orphans and Vulnerable Children in HIV/AIDS” by the Christian Medical Association of India (CMAI) and as a task force member for the development of “Facing AIDS,” a module, as part of the church’s response to HIV/AIDS, also by CMAI. I work as a Professor in Social Pediatrics at the Dr. Sushila Nayar School of Public Health at Mahatma Gandhi Institute of Medical Science (MGIMS), Sewagram, India. A pediatrician by training, I shifted to Community Medicine with a firm belief that strong community-based health services should form the backbone of health care delivery. I am actively involved in the implementation of an innovative community-based education program for undergraduate students at MGIMS, Sewagram. As a medical teacher, apart from teaching medical undergraduates and postgraduates, I also provide in-service training to medical officers in the district health system and other health providers on topics of public health importance. I have developed a number of innovative community-based strategies and programs: mainly “Family Life Education” for school-going and non-school-going adolescents, a parenting workshop, and an on-going training program for Anganwadi workers in non-formal education. Presently, I am associated with the implementation of two projects on child survival: (1) “Community-led Initiatives for Child Survival (CLICS),” a United States Agency for International Development (USAID) sponsored program for child survival, which aims to develop a community-led approach that ensures the provision of high quality and affordable child survival services for rural families; and (2) “Multicentric Taskforce Study on Home-based Management of Young Infants,” a Government of India / Indian Council of Medical Research (ICMR) project, which is testing a package of home-based care of young infants for reduction of the neonatal mortality rate. I am a recipient of a Salzburg Fellowship for attending Salzburg Seminar Session 428: “Early Childhood Care – Improving Linkages between Research, Practice and Policy” held in Salzburg, Austria, in October 2005. My areas of interest include home-based management for illnesses during childhood, early childhood development, and family life education. 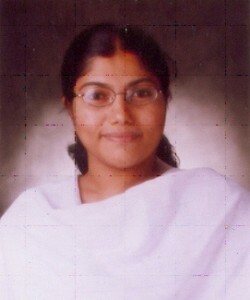 A. Jayasudha, M.Sc. (N), Ph.D. 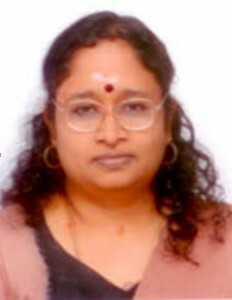 Professor A. Jayasudha is the Head of Maternity Nursing Department at PSG College of Nursing, Coimbatore. She is involved in the organization of workshops on “Educational Technology,” “Professionalism: A Challenge,” and on “Human Relations.” She has been a resource person in conferences and workshops on research methodology and positive childbirth. Prof. Jayasudha has been involved in the preparation of policies and procedures for Joint Commission on International Accreditation (JCIA) accreditation for her institution. She has framed orientation programmes for teaching faculty and nursing staff at PSG Hospitals. She is also involved in introducing an innovative method of teaching and learning in her institution. I am currently working as Associate Professor of Biochemistry at Chettinad Hospital and Research Institute (CH&RI), Chennai. Having a family background of teaching, I imbibed the interest of teaching from my father. When I entered the non-clinical area with 8 years of vigorous training under eminent physicians and pediatricians, I thought I should teach biochemistry in a different way. My exposure to teaching methodologies started when I worked for Sri Ramachandra Medical College (SRMC). I attended a teaching workshop and faculty development programme conducted by visiting Harvard faculty. I was a member of the curriculum committee at SRMC, and I acted as coordinator when they introduced integrated teaching. At present I am taking part in designing the e-learning programme for students at CH&RI. My fields of interest are integrated teaching and distance learning. Classical movies and music are my pastime activities. 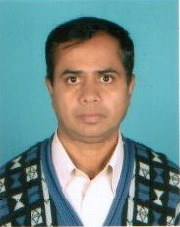 He is Associate Professor, Department of Physiology, at All India Institute of Medical Sciences (AIIMS), New Delhi. He became the first Indian civilian doctor to overwinter at Maitri, the Indian Base in Antarctica, with the 12th Indian Expedition to Antarctica (Dec. 1992-Apr. 1994). He was one of the team of expert faculty members deputed to Nepal on a Government-of-India–aided project for founding the B. P. Koirala Institute of Health Sciences (BPKIHS), the premiere medical institute of Nepal. Recipient of the prestigious Fogarty International Bioethics Fellowship, awarded by the Fogarty International Centre, National Institutes of Health (NIH), USA, he is a formally trained bioethicist. He serves as a resource person for bioethics and medical education events on various occasions in many national and international forums. His areas of interest are nutrition, lifestyle management, bioethics, and medical education. He has several publications to his credit, including chapters in books, and has delivered numerous presentations and invited lectures in national and international conferences. At AIIMS, he is also the Faculty In-charge of the Integral Health Clinic. This facility treats patients of ischemic heart diseases, hypertension, diabetes mellitus, and so on, using yoga, meditation, and lifestyle modification techniques. He also serves as an adjunct faculty member of the KL Wig Centre for Medical Education & Technology (CMET), and is a core group member of the Committee for Telemedicine. Dr. Mehta is currently the Associate Editor of the Indian Journal of Physiology and Pharmacology (IJPP), a prestigious indexed journal, and he is on the Institutional Ethics Committee for Research on Human Subjects at Dr. Ram Manohar Lohia Hospital, New Delhi. Jyoti M. Nagmoti, M.D., Ph.D.
She is currently Professor of Microbiology and the Secretary of the Department of Medical Education at Jawaharlal Nehru Medical College (JNMC), KLE University, Belgaum. She completed a Short Term Fellowship in Medical Education (July – September 2004) from the University of Illinois at Chicago College of Medicine, Chicago, USA. She has been actively associated with the Department of Medical Education at JNMC for more than 10 years, being involved mainly in the undergraduate/postgraduate education and faculty development training programs. She has attended a number of international workshops on medical education conducted by JNMC in collaboration with the University of Illinois at Chicago College of Medicine, as well as many others. Her areas of interest are innovative teaching-learning techniques, program evaluation, OSCE/OSPE, and faculty development programs. One sometimes meanders into one’s métier. I gathered assorted clinical work experience after earning my M.B.B.S. : 1 year senior housemanship in Urology and 2 years in the Rural Unit for Health and Social Affairs (RUHSA), a department of Christian Medical College and Hospital, Vellore, Tamil Nadu. Aiming to pursue post-graduate work in Community Medicine, I was selected instead for Anatomy. Having to teach the undergraduate curriculum as part of the M.S. training program, I was so transported by the teaching experience that I chose to do my dissertation in the sub-specialty of Medical Education. I received my Master in Surgery, in Anatomy, in 1995, and have since then worked in various medical schools, including 2 1/2 years in Dar-es-Salaam, Tanzania, which helped me gain some perspective on the training of international medical graduates. Areas of my work so far have been selection of medical students and evaluation of I MBBS syllabus and training. As Assistant Professor in Anatomy, I hope now to help build the Medical Education Cell of our fledgling private medical school, Bhaskar Medical College, Moinabad, RR Dist., AP, and to enthuse the younger teachers in pedagogy. I also enjoy guiding the medicos in their extracurricular pursuits, particularly the literary and performing arts. Elaheh Malakan Rad is Associate Professor of pediatric cardiology at Tehran University of Medical Sciences, Iran. She is In-Charge of curriculum development and scientific and research affairs for the Council for Graduate Medical Education. 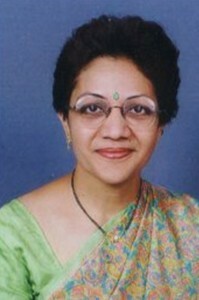 She has been working as a faculty member of the medical school since 1992. She obtained the third rank in National Board Examination of Pediatrics and the first rank in the National Board Examination of Pediatric Cardiology in Iran. She was instrumental in founding the Clinical Skills Center of Kashan University of Medical Sciences (KAUMS). She has been the director of the Educational Development Center and a pioneer in changing the curriculum of semiology for medical students at KAUMS. She did a pilot study of WFME standards at KAUMS and made a key contribution to the translation of WFME Global Standards in Postgraduate Medical Education into Farsi. 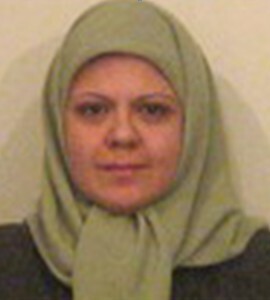 She received an Award of Recognition for her work from the Ministry of Health in Iran on World Health Day, 2006. 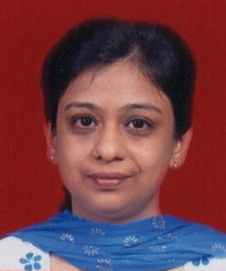 She has co-authored two books: An Introduction to ABC of Curriculum Development and Clinical Teaching and Assessment; and has written a chapter on “Cardiac complications of Thalassemia.” She has authored books on Interpretation of Pediatric ECG, Cardiopulmonary Resuscitation in Neonates, Cardiac Emergencies in Children, and Cardiovascular Diseases in Neonates. S.S. Rajasekar completed his M.S. (Anatomy) from the Jawaharlal Institute of Postgraduate Medical Education and Research (JIPMER), Puducherry, and his M.B.B.S. from Tanjavur Medical College. He is presently working as Professor of Anatomy at Mahatma Gandhi Medical College & Research Institute, Puducherry. He is the founding Head of the Department in this newly established institution and since 2001 has played a significant role in the development of the department. He had played a similar role in developing the Department of Anatomy at the PSG Institute of Medical Sciences & Research, Coimbatore, at the time of its establishment. He has had wide exposure to medical education, having attended several workshops on medical education technology. 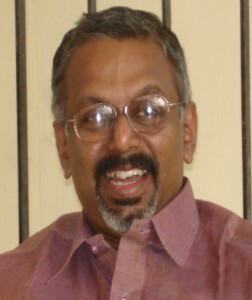 Previously he has worked in JIPMER, Puducherry; Kasturba Medical College (KMC), Manipal; PSG, Coimbatore etc., He has also had the challenging task of teaching students in Libya who did not have English as the language of instruction during their schooling but were being trained in English for their degree course in medicine, and their preparatory course for the Primary Fellowship Examination of the Royal College of Surgeons, England, as well as post graduate medical studies in anatomy. Currently he is pursuing a postdoctoral degree in medical clinical genetics. 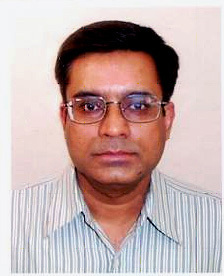 Ravi Shankar works at the Manipal College of Medical Sciences, Pokhara, Nepal, where he is an Associate Professor in the Departments of Pharmacology and Medical Education. He is a member of the Drug Information and Pharmacovigilance Center (DIPC) run by the department at the teaching hospital and is a member of the editorial board of the drug information bulletin published by the DIPC. He is actively involved in teaching the more rational use of medicines to medical students. He uses small group, activity based, problem stimulated learning to teach personal drug selection, analysis of drug promotional material, calculation of drug use indicators and critical analysis of published randomized controlled clinical trials to medical students. Dr. Shankar has conducted research on communication skills training, learning styles of medical students, problem stimulated learning in pharmacology and student attitudes towards pharmacology. Dr. Shankar’s other areas of research are drug utilization, pharmacoepidemiology, pharmacovigilance, medication errors, and social issues in medicine. He has actively encouraged student research and his students have published articles in national and international journals. 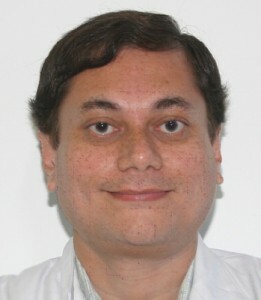 He is a member of many associations and is a reviewer and editorial board member of many journals. Dr. Shankar is a keen trekker and photographer and has conducted research on high altitude illness. He often writes articles on trekking and on medicines for Nepalese newspapers. He is a creative writer and writes essays, poems, and short stories, many of which have been published. 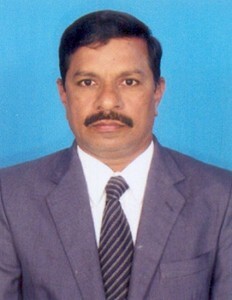 Vallapureddy Sreenivasulu Reddy, M.B.B.S., M.D. I am working as Professor of Medical Microbiology and Vice Principal of Santhiram Medical College, affiliated to Dr. N.T.R. University of Health Sciences, Andhra Pradesh, India. Before this, I worked in various medical colleges for about 15 years as Resident, Assistant Professor, and Associate Professor, teaching medical microbiology to M.B.B.S. students. I also have five years of academic and college administration experience as Vice Principal. During this long tenure of teaching experience, I observed many faults in the system of teaching and preparing medical students in our medical colleges, especially in the pre-paraclinical departments. Hence, I resolved to first refresh, retrain, and reorient the teachers so that they could prepare themselves properly and orient themselves properly to infuse the desired motivation, confidence, and interest among young students entering medical education. I firmly believe that we have to concentrate on teacher training to strengthen and sustain medical education. To achieve this goal I am getting myself trained so that I can train more and more young medical teachers. 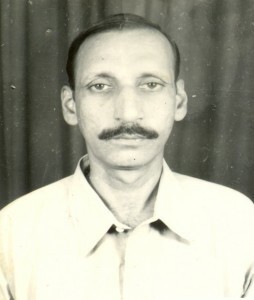 Suptendra Nath Sarbadhikari, M.B.B.S., Ph.D. 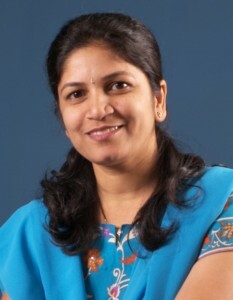 I am Associate Professor of Biomedical Engineering at the Technology, Information, Forecasting, and Assessment Council – Centre of Relevance and Excellence (TIFAC-CORE) in Biomedical Technology, Amrita Vishwa Vidyapeetham, Amritapuri, and Centre for Digital Health, Amrita Institute of Medical Sciences, Kochi. Prior to this I was an Assistant Professor in the School of Medical Science & Technology, Indian Institute of Technology, Kharagpur. Before that I was attached to the Sikkim Manipal Institute of Medical Sciences, as an Assistant Professor in Biophysics, and also as a Visiting Faculty at the Sikkim Manipal Institute of Technology. I have been selected as one of the fifty best teachers in India by the Department of Atomic Energy as part of their Golden Jubilee Celebrations in August 2004. I have been awarded the prestigious Shri Shyam Lal Saksena Memorial Award 2000-2001 from the National Academy of Medical Sciences (India), for research in biomedical engineering. Presently I am the Joint Secretary of the Indian Association for Medical Informatics (IAMI). I have been instrumental in designing and developing the syllabus on medical informatics for the C-level Bioinformatics Course (Department of Information Technology, Government of India). I have also extended my knowledge and expertise in developing the recommendations of the Subgroup on Telemedicine Standards, Recommendations on Guidelines, Standards and Practices for Telemedicine in India, National Taskforce for Telemedicine in India, Ministry of Health & Family Welfare, Government of India. I have written a book entitled A Short Introduction to Biomedical Engineering and have also edited another book entitled Depression and Dementia: Progress in Brain Research, Clinical Applications and Future Trends. I had my formal medical training in the pioneer batch of students at Government Medical College, Thrissur, Kerala. After working as an Anesthetist at my alma mater for 14 months, I joined as a faculty member in Physiology. 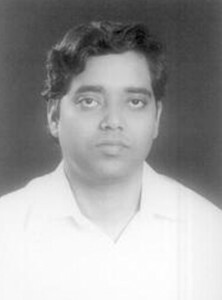 Post Graduation in Physiology was at Government Medical College, Thrissur, in 1999. 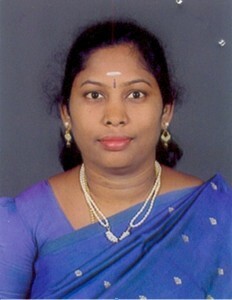 Currently, I am Associate Professor of Physiology at Government Medical College, Thrissur. My first love is teaching. I had advanced training in Educational Technology at the National Teacher Training Centre – Jawaharlal Institute of Postgraduate Medical Education and Research (NTTC-JIPMER), Pondicherry, in 2001. I am mostly interested in the affective domain, which I believe to be a vital, but much neglected, aspect in today’s curriculum. I associate with a Dyslexia Support Group and am writing a column in the newsletter of the Association of Learning Disabilities, India. I was elected as the Best Pre-clinical Teacher by the Students in the year 2003. I am working as Coordinator of the Medical Education Unit at Government Medical College, Thrissur. I am also an invited faculty member of the Indian Society for Technical Education for their Induction Training Programs for new Engineering Teachers.